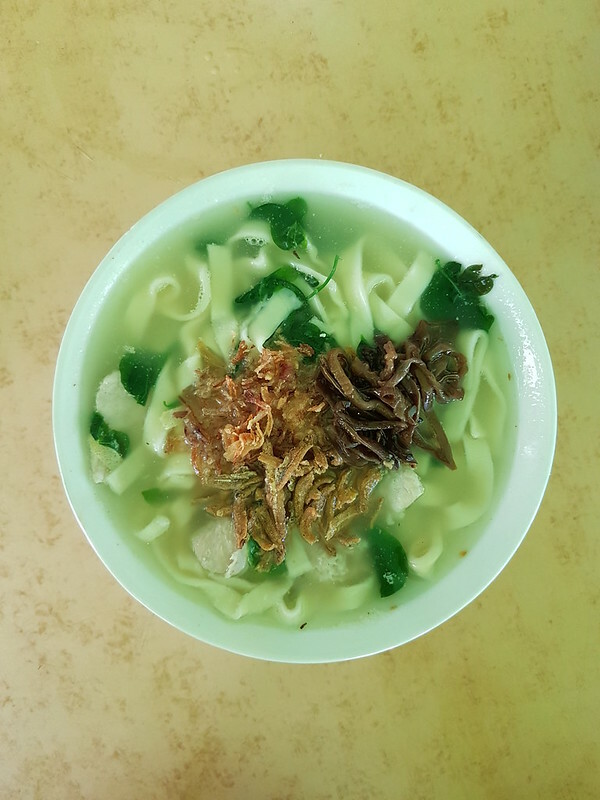 Pan mee (板麺) is a popular Hakka noodle in Sabah. 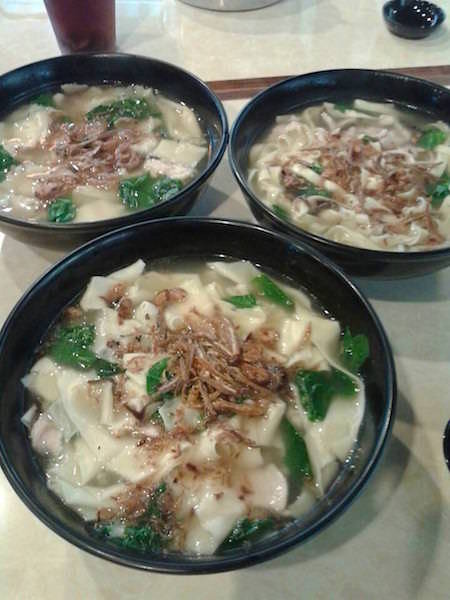 Pan Mee are made using the flour-based dough, handmade manually on the spot. A standard bowl of pan mee is served with anchovy broth, minced meat, shiitake mushrooms and most importantly mani chai. Mani cai is also known as Sayur Manis in Malay and 树仔菜 in Chinese. 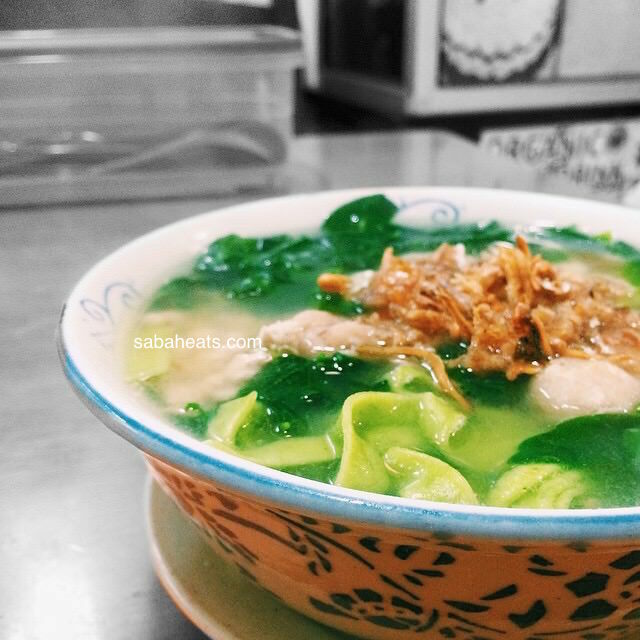 Tourist sometimes calls Mani cai as Sabah Vegetable because mani cai can grow easily in Sabah and commonly found in Pan mee Sabah. Because of its popularity, many coffee shops offer “modified” version of Pan mee to caters to the market needs. 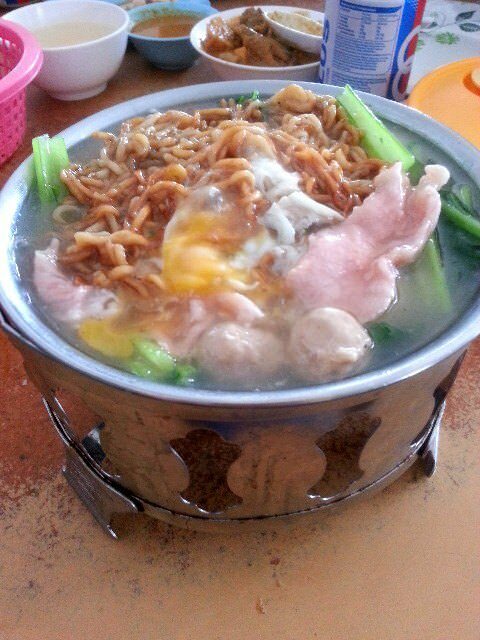 Serve traditional Pan mee with its first branch at Lido Square. 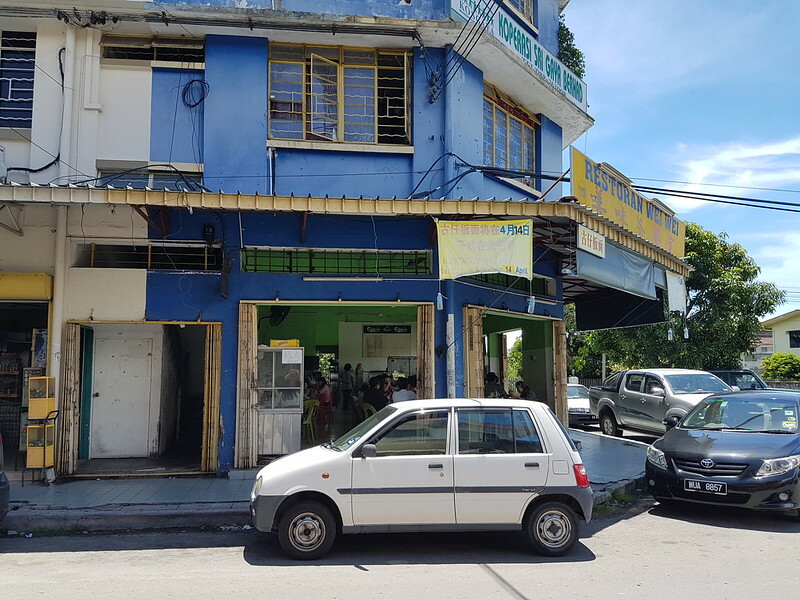 A popular place among the local for Pan Mee at Damai area. Xing Wan use self-service order system where you place your order at the counter. 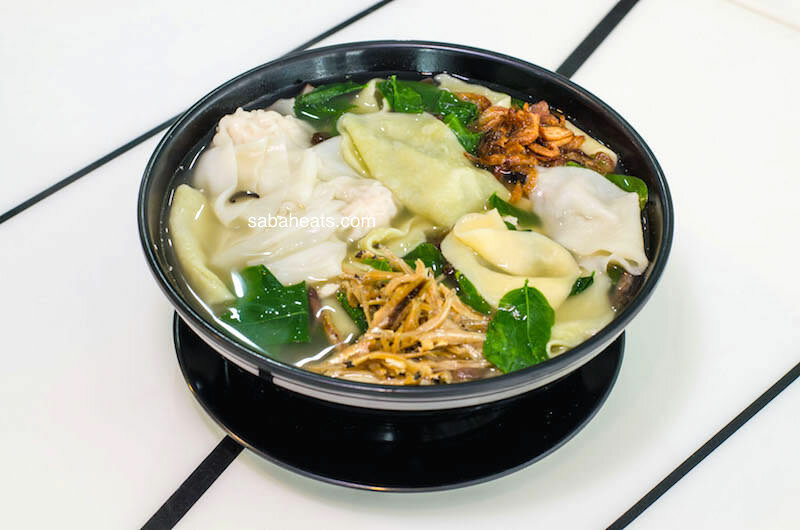 Choose your favorite type of Pan Mee (thick, thin strips or hand cut/torn), topping (pork ball, minced pork, wonton) and you will get your order no. 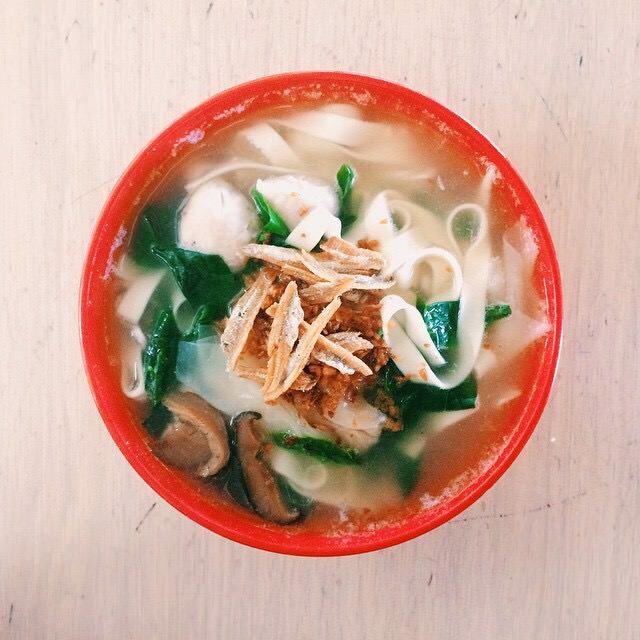 Pan mee is served in a delicious broth of anchovies, Sabah vegetables. 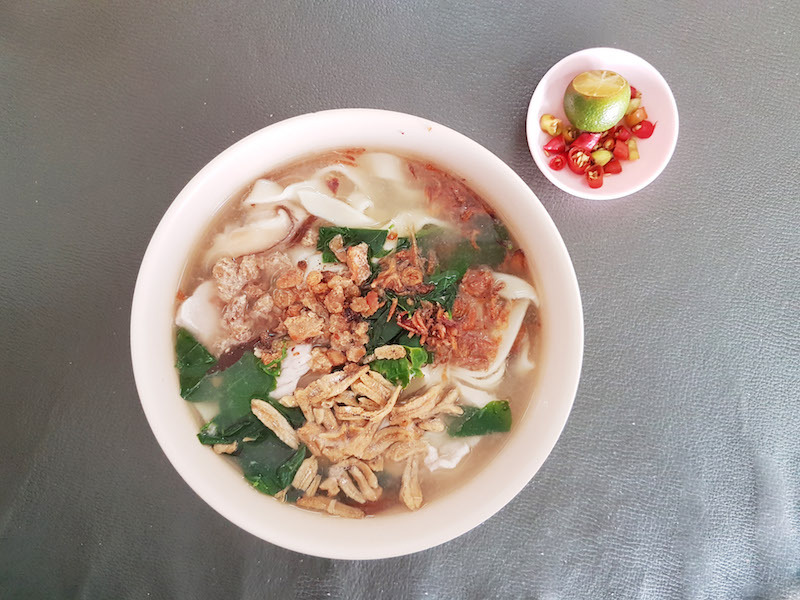 Many customers know Qing Bon Leong serve good herbal tea but not many know Qing Bon Leong also serve good and healthy Pan Mee. Their signature Pan Mee is the 3 colors Pan Mee (三色板面) which is made from Spinach(green), pumpkin(yellow) and flour(white). They also have 13 types of Pan Mee to choose from. 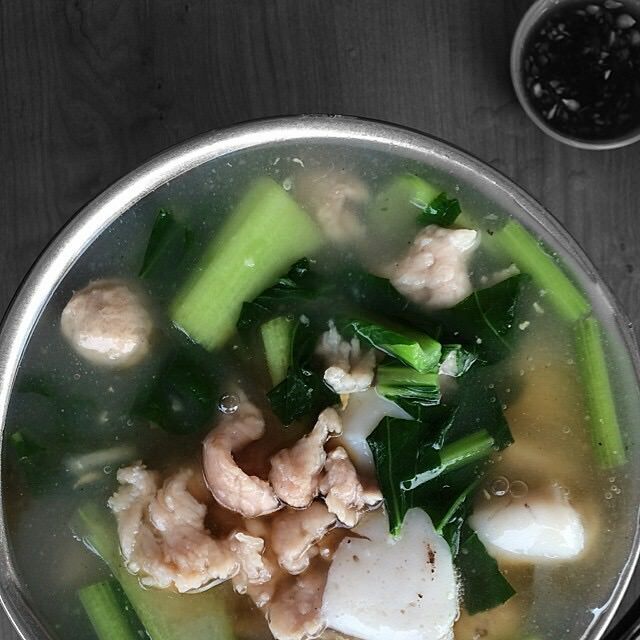 If you looking for “healthier” pan mee, then Qing Bon Leong is the place to be. Address: Lot18, Ground Floor, Block B, Damai Plaza, Luyang 88100 Kota Kinabalu. Slow service but worth the wait. Next Station takes up a small shop lot at Central Plaza. 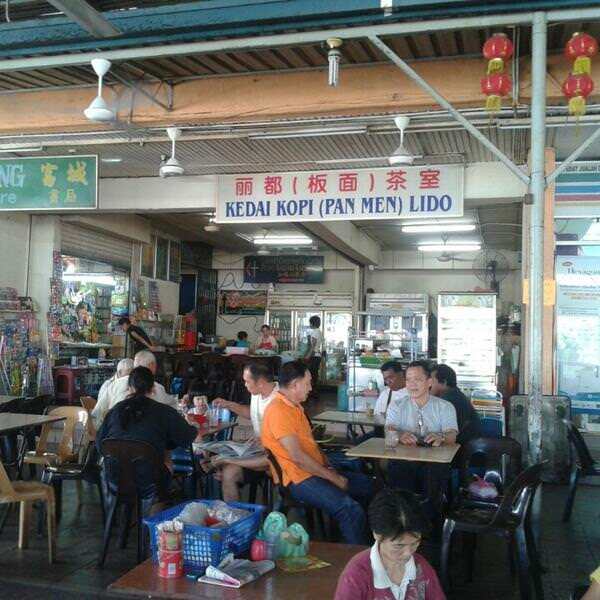 You would not expect this shop lot serve delicious pan mee. One of the signature pan mee of Next Station is Spinach pan mee (菠菜板面). This pan mee look nice and importantly more healthy. Next Station Pan mee also selling frozen pork balls and dumplings. 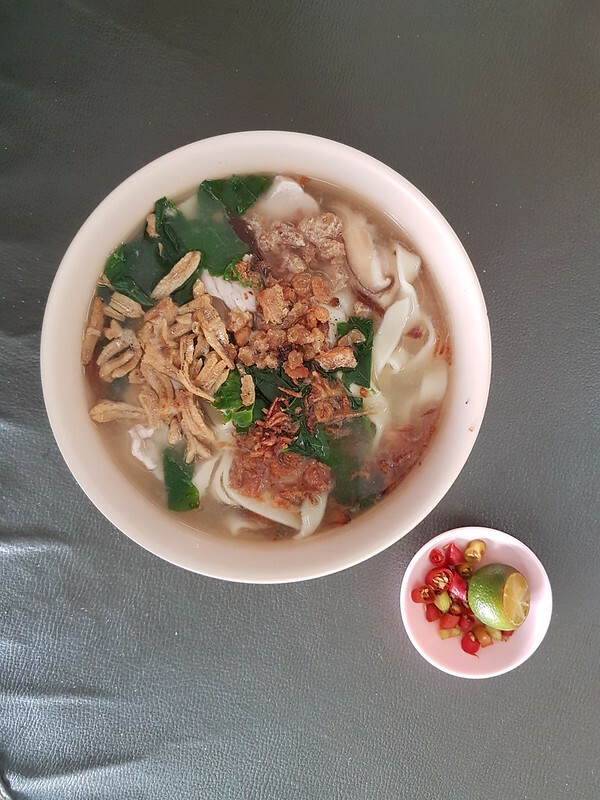 Simple and delicious Pan mee. the anchovies are crispy and give a different texture to the noodle. I cook, I eat and I always looking for good food! Another nice pan mee in Asia City KK56 food court.